Minecraft has once again managed to creep and crawl into another of our classic video game franchises and aid in shaping its future. 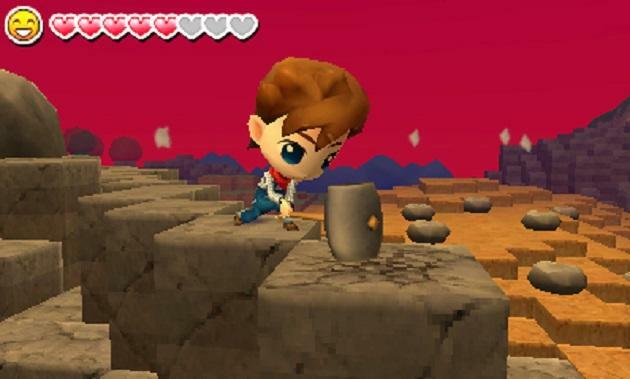 Harvest Moon: The Lost Valley on the Nintendo 3DS borrows quite a few ideas from the indie sensation and is more than just a farming simulator because of it. If you want to grow crops, raise cows and chickens, get married, have kids, and tend to the earth, then you are going to have to build the earth first! A brand new trailer from Natsume shows how Harvest Moon: The Lost Valley will allow for your farm to be totally unique. The titular location is randomly generated, leaving you with a farm unlike anybody else's and giving you the freedom to shape and adjust it any way you like. Create huge mountains and stacks of dirt to shape the landscape, plant down a nice river to give it some peaceful charm, or just flatten it to a pancake and make it lucrative with as many plants as possible. The choice on how to shape your farm is totally yours to make. It's an interesting spin on the series, but seeing how Minecraft is affecting the longtime series around it is even more interesting. Harvest Moon: The Lost Valley and Song of Seasons are going to be all out competing for your dedicated farm simulator Nintendo 3DS free time, but this new element gives a point to team Harvest Moon. Looks pretty interesting.